While the state has a projected population of 3.46 crore, according to the UIDAI website, only 31.36 lakh people (9.1 per cent) had been assigned an Aadhaar number till June-end. By July 30, the enrollment went up to 33.09 lakh. Meghalaya has the second lowest Aadhaar penetration —only 8.1 lakh people of the projected population of 32.76 lakh had enrolled for Aadhaar till June 30. WHILE IT released the “complete draft” of its National Register of Citizens (NRC) on Monday, Assam has recorded the lowest Aadhaar penetration — only over nine per cent of its population have enrolled with the Unique Identification Authority of India (UIDAI), as compared to the national average of 89 per cent. Responding to a question in the Rajya Sabha in April, Union Minister Ravi Shankar Prasad, Ministry of Electronics and Information Technology (MeitY), to which the UIDAI is attached, said the “respective state governments of Northeast region, as UIDAI registrar, are undertaking Aadhaar enrollment of its residents”. He said some of these states had started Aadhaar enrollment “recently”, and had been “advised to open more permanent enrollment centres and hold enrollment camps”. In March 2017, P P Chaudhary, as MoS, MeitY, had told the Lok Sabha that the reason for low Aadhaar enrollment in Assam was because the state government wanted to update the NRC first. 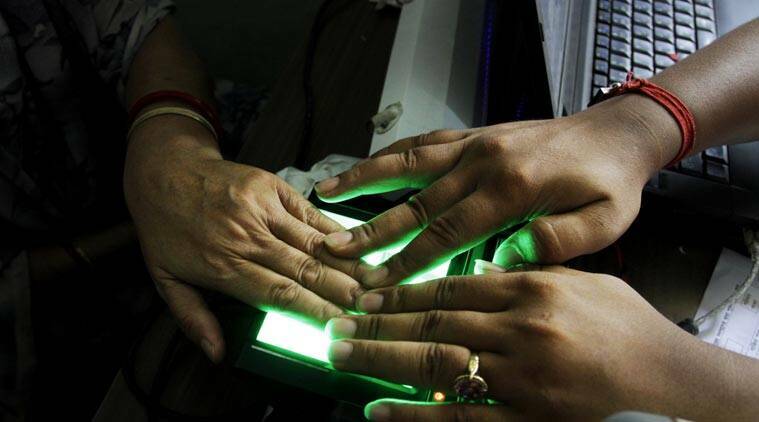 “The government of Assam has decided that the issue of enrollment for Aadhaar will be taken up in the state after the completion of ongoing National Register of Citizens (NRC) updation,” he said. He said 21.47 lakh people in Assam had enrolled for Aadhaar by February 28, 2017. Meghalaya has the second lowest Aadhaar penetration —only 8.1 lakh people of the projected population of 32.76 lakh had enrolled for Aadhaar till June 30. Nagaland is third, with over half its population enrolling for Aadhaar. New Delhi: The NRC matter will come up in Supreme Court again on Tuesday before a bench of Justices Ranjan Gogoi and R F Nariman which is monitoring its updation.